KIEV, February 5. /TASS/. 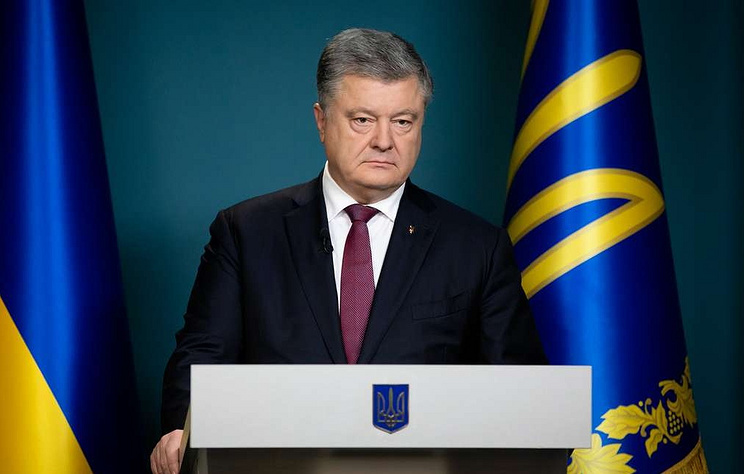 Ukrainian President Pyotr Poroshenko has pledged to order the State Border Guard Service to ban entry for Russian citizens who will join the Organization for Security and Cooperation in Europe (OSCE) mission monitoring the March 31 elections. "As a commander-in-chief, I will issue an order for the border guard service not to allow [Russian citizens to be members of the OSCE observer mission]," Poroshenko told ICTV. On Monday, Ukraine’s parliament, Verkhovna Rada, registered a bill to prohibit Russian representatives from engaging in international monitoring missions for the Ukrainian presidential and parliamentary elections. Ukrainian Foreign Minister Pavel Klimkin earlier said that Kiev would not let Russian nationals monitor Ukraine’s presidential election. He sent a letter on the issue to Director of the OSCE Office for Democratic Institutions and Human Rights (ODIHR) Ingibjorg Solrun Gisladottir. The Office responded that it would act in accordance with the established norms and principles enshrined in the OSCE documents and confirmed by the electoral monitoring practice. Russia earlier said it was ready to send its observers and expected the Ukrainian leadership to allow Russian nationals to monitor the presidential election as members of the OSCE mission. For its part, Russia’s Central Election Commission reported it had sent to the Russian Foreign Ministry a list of experts who could monitor the Ukrainian presidential election as part of the OSCE mission. Ukraine’s presidential election is scheduled to be held on March 31.